“It’s not Citadel Station as it was, but as you remember it”. 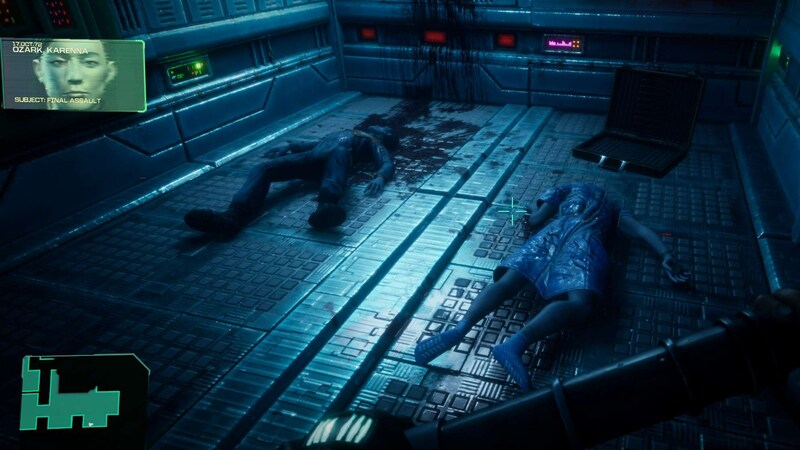 So goes the pitch for Nightdive’s System Shock remake, but to me the early demo I played at GDC was neither. 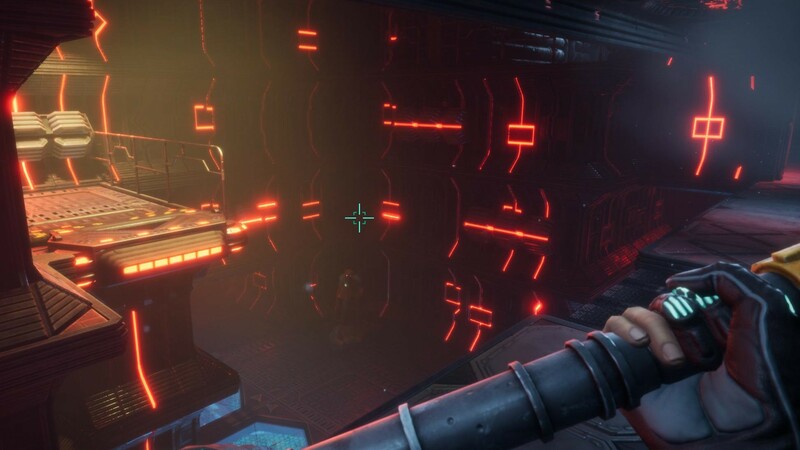 I’ve tiptoed my way through the mutant-infested corridors of its sequel, but the original System Shock always lay beyond an impenetrable wall of 90s design sensibilities. I need mouselook, me. I’ve got it, thanks to Nightdive, but that means I can’t tell you whether the remaster will do justice to cherished two decade-old memories. 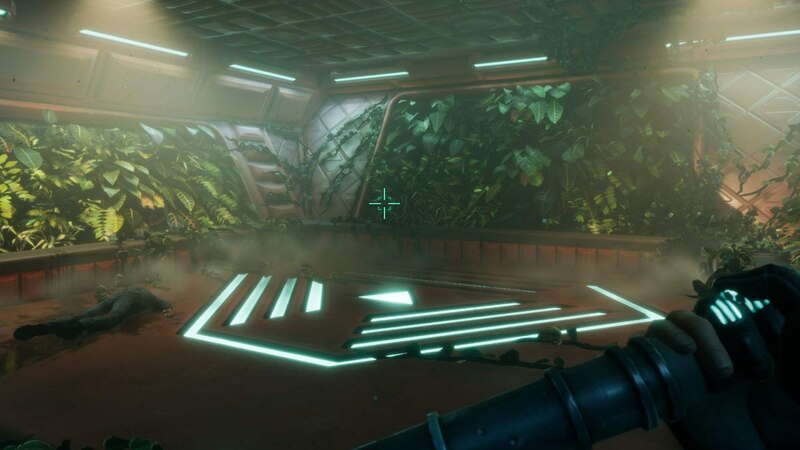 I can tell you that I enjoyed walking around a creepy space station, even though that station still needs a tonne of work. If you’re in the same boat as me, welcome! Squish over a bit, you’re treading on SHODAN’s toes. Citadel Station is the birthplace of one of gaming’s greatest villains, as well as the Bioshock games, System Shock’s spiritual successors. Those are the games where you take drugs and decide whether to kill slug-infested little girls, or mull over a problematic ‘well there are villains on all sides’ take on racist oppression. But let’s get back to that station, before Shock troubled itself with Saying Things. It’s an awful place. Mutants stalk you with spindly arms tipped with claws that almost scrape floors, and murderous robots turn Terminator the moment you’re in range of their sensors. It’s a Shock game, which means you spend your time exploring, scavenging for health, ammo, and door codes. You also spend a lot of time whacking enemies with a chunk of metal, as the first robot I met found out pretty quickly. “It’s already dead”, cried Nightdive CEO Stephen Kick from behind me. It turned out I’d been unwittingly hammering away at an inert chunk of metal, perturbed by the diodes still flashing on its head. This needs saying, and it needs saying early: it did not feel good to hit the robot. Both they and their fleshy friends attack in the same pattern, lumbering forward and swinging. Unless their pathing happens to be broken, as it often was. Let’s just get all the flaws out of the way. Lights wouldn’t work in some areas, all but one of the guns weren’t implemented, and a puzzle required dipping into an email system that hadn’t yet been implemented either. I did no sleuthing of codes, I just had Kick shout them out. Most damningly, the combat had no heft, whether fought with pipe or piddly stun gun. Every encounter felt like a duel between moths, each victory secured with the same simple steps. Step forward. Whack. Step back. Repeat. Vital elements were clearly missing, such as any feedback at all when a mutant’s claw sliced into my shoulder. It’s hard to say if the finished version of the combat will feel as unsatisfying. Adding missing sound effects can only go so far, and those early enemies will probably still have the same basic attack patterns. Those were early enemies though, and I can only hope that later monstrosities make up for their stunted swiping. Much more certainty can be found in Citadel Station itself. It’s an enticing place to explore, drenched in pulsating lights and occasional shadow. 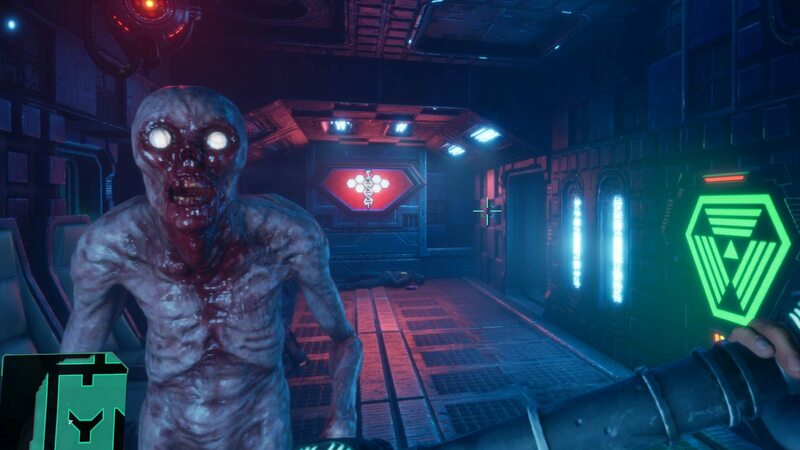 I especially enjoyed my trip into the belly of the ship, where red neon and cramped corridors lead to an embarrassing yelp as I turned a corner and slapped my forehead against a mutant. They might be clumsy, but they look the part. Especially in their death wriggles. Nightdive have released footage of the same section I played, so you can enjoy those for yourself if you like. If you’re familiar with those corridors, you’ll still find some surprises a-lurking. I asked Kick if he’d seen how the recent Resident Evil 2 remaster deliberately played with people’s memories, placing enemies in locations players had assumed were safe. A similar line of thought extends to SHODAN, the delightfully sinister station AI responsible for all the mess. The story has been left untouched, Kick assured me, but they’ve still got Terri Brosius to reprise her role. I’d still say that demo was too early to be shown to the press, but that’s anathema to Nightdive’s philosophy. As head of business development Larry Kuperman told me, their commitment to transparent development runs deeper than any studio I know of. Nightdive don’t just do their work then ask their community for feedback. They get that feedback while they work. To me, working while being watched sounds more nightmarish than Citadel Station – but Kick didn’t seem to mind. “It was pretty natural because a lot of us on the team are distributed. We’re giving each other company while we’re working, so it was a natural extension of that. I can understand the importance of that validation. Feedback is important for every studio, but not every studio goes through a phase where their excited Kickstarter backers become disillusioned. That’s partly why the project slipped from its original 2018 release plans. It’s clear that he feels a duty to do right by his childhood classic. Not just for his own sake, but for those of his fans. People can be passionate about the games from their past, and living up to cherished memories is an intimidating task. Kick says he enjoys working in front of his backers, but I still had to ask: does he fear them? 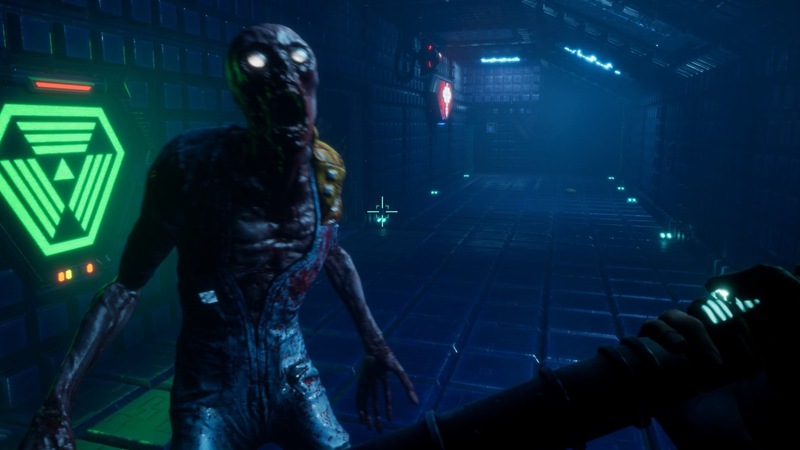 Tagged with GDC 2019, Night Dive, Stephen Kick, System Shock Remastered.